What a treat for these residents at Tullamore Estate in Doncaster to have with not one, but THREE incredibly designed and unique play spaces. 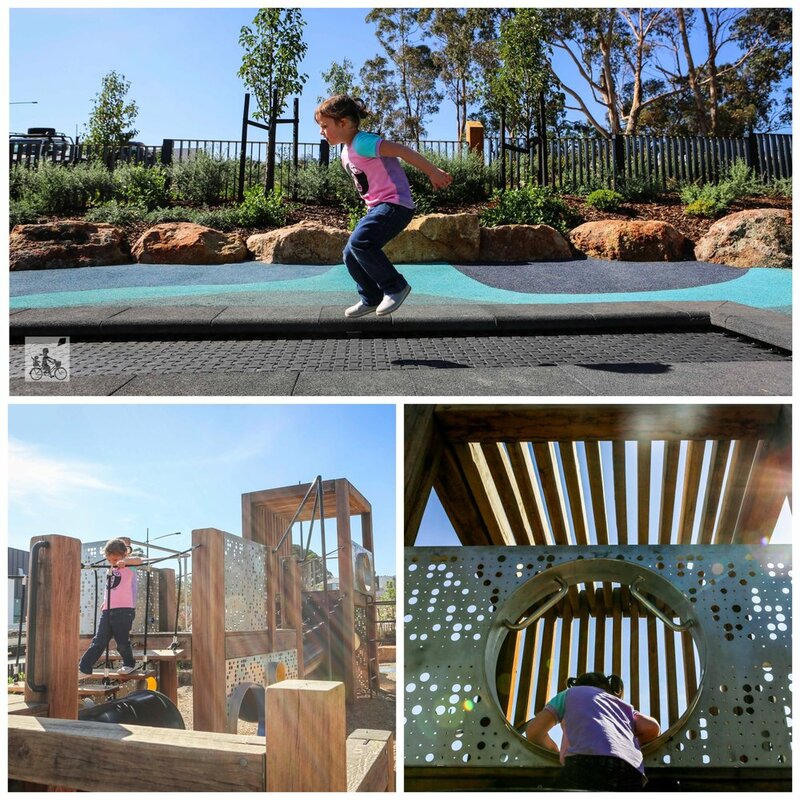 The latest eastern suburb estate, that has taken over the previous Eastern Golf Club, on Doncaster Road, have completed their playgrounds and Mamma gives them both a big thumbs up. This one is found on Heritage Boulevard and is a family space. Fenced off from the road, there is a large and challenging play structure with plenty of tunnels, ropes, ladders and a nice long slide. Then head to the sand pit via the long rectangular trampoline. The sand pit is equipped with lots of tinkering buckets, tubes, sifters, has a water pump to help hold those castles together and even has its very own - slightly slow - slide! Really great for that creative and outdoor play. As always there are your classic swings and spinners too and bring your lunch box with you as there are plenty of benches and a bit of shade to enjoy your snacks under. As with many estate playgrounds, parking is limited and there are no toilets on site. You won't be staying here all day, unless you are buddies with a local, but it's a park worth swinging into for something different. Mamma's special mention: The next park adventure is SO close. Head up past the fitness equipment, onto the bridge and you can see the next park up the hill! Phar Lap Drive Play Space. OR head over the road, along the boardwalk until you find the mammoth birds nest at Verdant Park. bbq/picnic area - NO toilet facilities - sand - some street parking - fitness equipment - shaded picnic benches - fenced from the road. Enter from Doncaster Road, head straight ahead through the round about and down the hill!